By sending a Hobart/Foster stainless steel blood storage and monitoring refrigeration unit and a back-up gasoline generator. 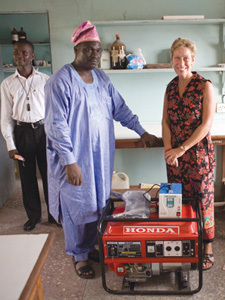 By partnering with Rotary clubs in all four districts of Nigeria to sponsor a working hospital with a hemotologist on staff to sponsor a blood bank. 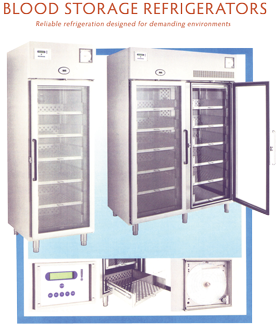 Each blood bank consists of a stainless steel temperature monitoring refrigeration unit, a back-up generator, a voltage stabilizer and a supply of quadruple blood bags in Nigeria.